I’ve been a big fan of KitchenAid appliances for years. The best dishwasher I’ve ever owned or ever will own, is a KitchenAid. They last. A long time. I hope to redo my kitchen next spring and KitchenAid appliances are on the top of my list. I was excited to hear that Best Buy will be carrying the KitchenAid line of major appliances… especially since I shop there often. With a high tech husband and son, and okay, me, too, we are regular Best Buy customers. All new Slide-in Ranges fit the traditional freestanding cut-out for a seamless look that provides not only a streamlined look, but making cooking and baking so much more efficient. There’s more ways to cook with the all new slide-in downdraft range options in electric and dual fuel. 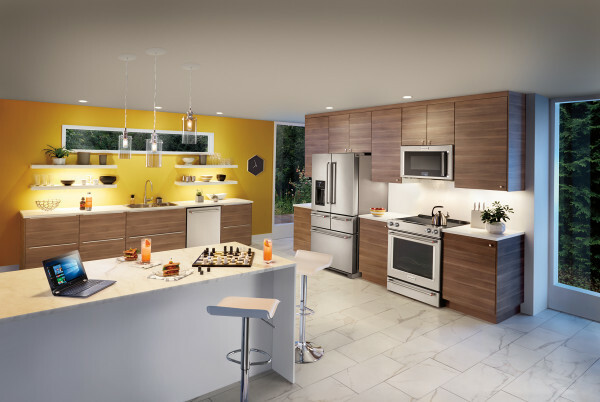 The wall ovens and ranges have an Even-Heat™ Technology for flawless results. There’s a baking drawer for cooking flexibility to keep dishes warm, slow cook or simply bake at a different temperature than the main oven. I may be replacing my fridge by Christmas instead of waiting till spring and I’m very excited about the KitchenAid refrigerators. 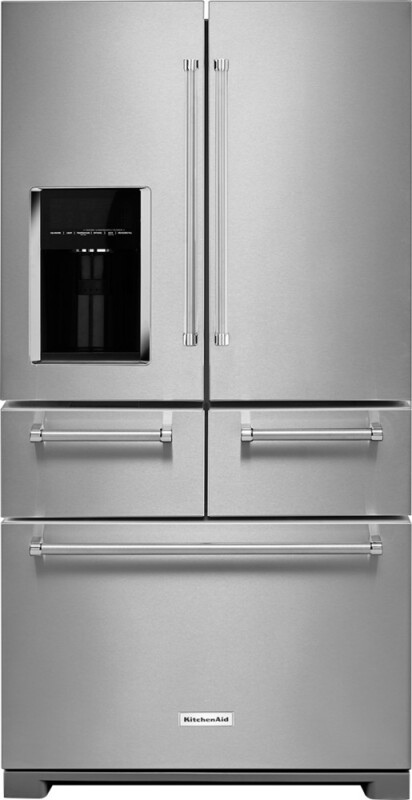 The EW french door refrigeration configuration: more drawers for more possibilities. The five door offers the ultimate in flexibility, organized storage and easier access to food and the new 36” french door bottom mount built-in refrigerator with platinum interior design. Luxury fit, feel and finish with soft close pantry drawers, new crispers, platinum interior with undershelf lighting. I must confess, I get a little giddy talking about the new KitchenAid refrigerator. It’s true. If you purchase any KitcheAid Range/OTR Pair now through 10/31 you will get a FREE 10-pc painted stainless-steel KitchenAid Cookware Set! 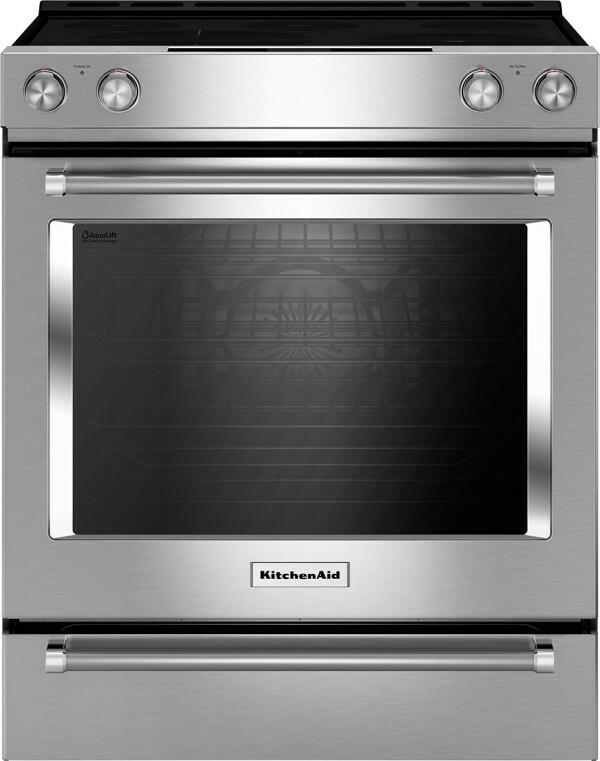 Also, save an additional 5% with the purchase of 3 or more Kitchen Aid Major Kitchen Appliances (Runs through 10/31). I need to go ahead and purchase my Kitchen Aid appliances now with this deal going on! What’s your favorite KitchenAid appliance? Or which KitchenAid appliance is on your wish list? WOW!! I THINK I NEED THE STOVE MORE. I WANT TO GO SEE IT SOON MAKE SURE IT IS WHAT I WANT BUT SO FAR I AM IN LOVE!! I’m drooling over both the fridge and stove. I am so in need of a kitchen makeover and I am for sure going to look at the kitchen aid brand. Thanks! THIS WOULD HELP ALOT FOR THE HOLIDAYS. WE ALL NEED A GREAT APPLIANCE. TO MAKE GREAT FOOD. Oh wow I want everything there. I would most like a new stove. I’ve only ever had the KitchenAid mixer … I wasn’t really aware that they made big appliances either!! I have to check it out the next time I need to replace my stove or fridge!